File photo: Josh Duhamel arrives at the 2017 Goldie's Love In For Kids at a private residence on Friday, Nov. 3, 2017, in Beverly Hills, California. Sounds like the “Today” show might need an office cat. “Today’s” meteorologist Al Roker thanked actor Josh Duhamel for catching a mouse in the green room on Tuesday. “Kudos to @joshduhamel for catching the mouse on our @todayshow #greenroom this morning,” Roker wrote in a Twitter post that included video of the actor holding the critter in a paper coffee cup. At least one person is heard shrieking in the background as the mouse tries to climb out. It briefly succeds, jumping out of the cup before Duhamel catches it again. This time, he secures the lid and leaves the coffee cup on a counter. "Just leave it there for somebody," Roker jokes. 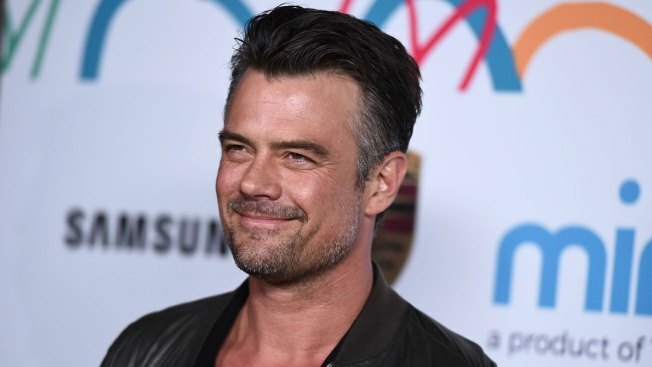 Duhamel was on “Today” to promote “Unsolved: The Murders of Tupac and the Notorious B.I.G.,” a 10-part limited series on USA where he plays a detective.